Loved the fresh flowers. Gorgeous spacious rooms. I enjoyed the welcome drink and necklace- nice touch. Great location, great staff. Breakfast was especially great as the chefs were fantastic, Fernando was amazing! Best service I've had at a hotel in Dubai to date. A quick 10 minute drive to downtown Dubai where we went to Dubai mall and burj khalifa. The location in downtown Dubai is by far the best feature of this property. 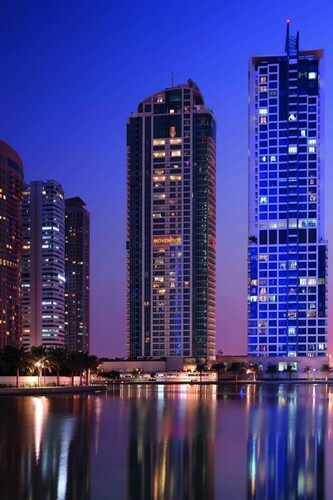 It is located in Jumeirah Lake Towers, about 20minutes away from downtown Dubai but transportation is easy. 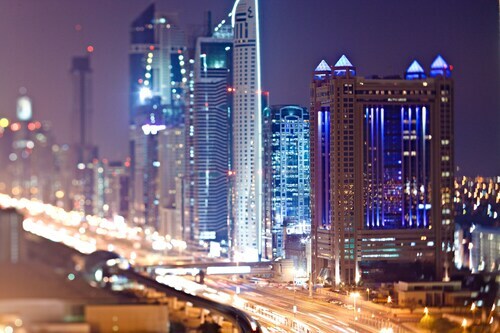 Downtown Dubai is a scenic neighborhood known for its major shopping area. Here you'll find plenty to visit, including Burj Khalifa and Dubai Mall. If you're looking for a place to rest your head, Downtown Dubai has 115 hotels and other accommodations so you'll be sure to find something to meet your needs. Renaissance Downtown Hotel, Dubai: Hotel with a full-service spa, 5 restaurants, and an outdoor pool. Our guests enjoy the hotel's helpful staff. Palace Downtown: 5-star hotel featuring a full-service spa, 7 restaurants, and an outdoor pool. Expedia travelers like this hotel's comfortable beds and helpful staff. DoubleTree by Hilton Dubai - Business Bay: 4-star hotel featuring 3 restaurants, an outdoor pool, and free valet parking. Our guests rate this hotel highly for its comfortable rooms and helpful staff. The Ritz-Carlton Executive Residences, DIFC: 5-star hotel featuring a full-service spa, 3 restaurants, and an outdoor pool. Our guests enjoy the hotel's helpful staff. The Ritz-Carlton, Dubai International Financial Centre: 5-star hotel featuring a full-service spa, 6 restaurants, and an outdoor pool. Expedia travelers like this hotel's helpful staff. Four Seasons Hotel Dubai International Financial Centre: 5-star hotel featuring a restaurant, an outdoor pool, and a health club. Dubai Water Canal, KidZania, and Dubai Aquarium & Underwater Zoo are fun stops for whole family while you're in Downtown Dubai. You could also plan a visit to Burj Khalifa or Dubai Mall when you're visiting the neighborhood. DIFC is a nearby neighborhood, and you might consider a stop by Dubai International Financial Centre while you're checking out Dubai. Looking for a quick way to explore more of the city? Catch a ride on metro transit at Burj Khalifa - Dubai Mall Station and Business Bay Station.